If you are like many other people, you will want to beautify your garden so that you and your family or friends can spend valuable time together there. To actualize this dream, there is a no-brainer solution to conduct, which is Indonesia Natural Rattan furniture. The furniture comes in different shapes, designs, as well as affordable prices. Why Indonesia Natural Rattan furniture? Indonesia Natural Rattan has such unique and exquisite natural texture in which can create neutral nuances to match with other rattan furniture. That means you don’t have to be an outdoor designer to mix and match stuff to build your own sanctuary. 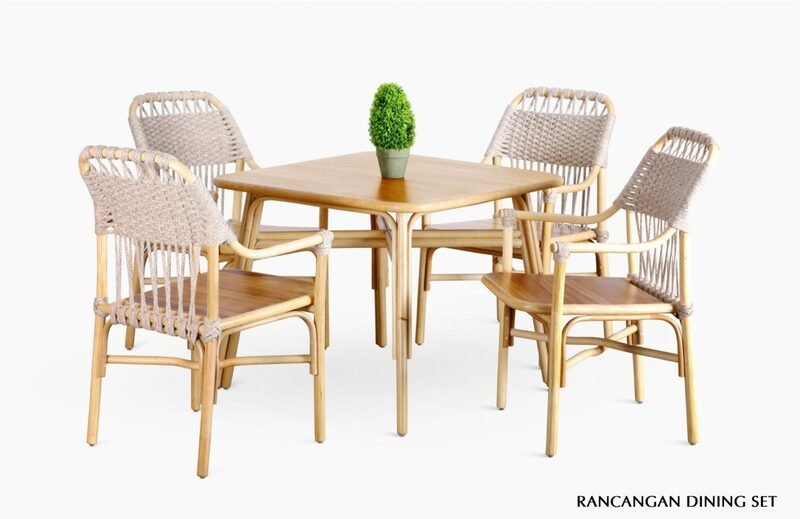 You can’t go wrong with the Indonesia Natural Rattan furniture pieces. It is a great idea to browse our site, naturalrattan.com, as there are tons of Indonesia Natural Rattan products which deserve to be checked. The designs and styles are displayed in our gallery along with the helpful information such as the material we used, the function of the furniture piece, as well as how to purchase it. You can’t go wrong with purchasing Indonesia Natural Rattan furniture since it is lightweight that can be easily moved around your garden. Rattan is sturdy and durable. But the perk that we’d like to highlight is its lightweight characteristic. Other hardwoods which are sturdy and durable are mostly bulky. But not with the rattan. Moreover, the furniture made of the rattan wood will blend well with the natural environment. When opting rattan furniture pieces for your garden, it is best to choose the sturdy rattan furniture so that you will be able to use it for a longer period of time. Not to mention that you will have peace of mind when leaving your furniture outside your house. The Indonesia Natural Rattan furniture has various designs and all can work for your outdoor settings. You can check out a wide array of designs in our gallery and pick one which is suitable depending on your garden size or shape. There are different kinds of items which represent different functions such as cobalt wooden chair, uruma wooden bar stool, lawas dining set, and much more. You can combine the furniture pieces which look fantastic for your garden or patio. So, why does Indonesia Natural Rattan furniture gain such popularity? There is something different (in a good way) about rattan furniture. At the first glance, you will notice its intricate weaving. The flexibility of the rattan furniture allows the carpenters and artists to create such creative and innovative designs. The contemporary pieces resulted from rattan wood really inspire the homeowners or property owners to purchase a set of rattan furniture for indoor or outdoor use. But it is much more prevalent for outdoor use, thanks to its incredible characteristics. Abundant in Southeast Asian forests, the rattan tree has been one of the most crucial commodities in the furniture industry. Rattan is very viable for both modern and contemporary outdoors. It is sturdy and prime. It seems too stiff to be crafted. But once it’s steamed, it can be bent in any shape or size as desired. The craftsmen and carpenters will work on that and dry it after reaching the shape they desire. Once dried, the rattan will remain in its new shape. That explains the reason why you can see many dynamic designs of Indonesia Natural Rattan outdoor furniture pieces. It is a unique characteristic which can’t be owned by other woods. Rattan is very versatile in each of part. For instance, folks use the rattan skin for weaving material. The Indonesia Natural Rattan furniture, no matter what its size, is the type which can resist extreme weather and harsh environment. With weatherproof furniture like this in your backyard, you will have peace of mind in treating it. However, you will need to take care of it when there is excessive sun exposure, hard rain, wind and snow to keep your rattan furniture firm and prime. Ones can expect one up to three decades of the age of rattan furniture. If you can maintain it well, you will see your rattan furniture for the next five decades. More homeowners are choosing rattan as the main material due to its exquisite design which can blend with the environment. It is because of its neutral nuances the rattan offers. The unique woven texture has made many people stunned and amazed. There is no wood can match the unique ambiance of rattan. The appealing factor of the Indonesia Natural Rattan can actualize the style and comfort that are sought by most homeowners who want to decorate their outdoor spaces. Adding few rattan pieces will surely enhance your outdoor appearance. Despite the big size of the rattan furniture pieces you bought, they are still having lightweight aspect so that you can move around your furniture without any problem. The Indonesia Natural Rattan furniture will work well with other wooden furniture. So if you already have different wooden furniture in your outdoor area, adding rattan furniture to it won’t hurt its appearance. Compared to other wooden furniture, the rattan furniture requires medium to a low maintenance level. That means you don’t have to bring out a big effort to handle the maintenance matter. To clean a rattan piece, you just need to prepare a soft cloth with mild dish washing liquid mixed with water to wipe the surface of the rattan. For slit or gaps, you could use a soft small brush to reach the affected area. You could order such products from our site, NaturalRattan.com since we offer fantastic shipping services of the furniture pieces to your desired location. No matter where you live, we are ready anytime. This will also help you to save time and effort in purchasing such bulky furniture. If you have custom design by yourself, you could contact our customer support by phone or email to ask for more quotes. We have thousands of portfolio ready to present to you. We are welcoming our clients to look at our showroom collection to strive for customer’s satisfaction. This entry was posted in News and tagged Cane furniture, home decor furniture, Indonesia rattan furniture, Indoor Furniture, Maintenance rattan furniture, Natural Rattan Furniture, Neutral nuances for home, outdoor furniture, Wicker Furniture.